After nine months of nervous anticipation, the birth of a child ranks among the happiest days in the lifetime of most parents. Occasionally, something goes wrong during the baby’s delivery, a disturbing scenario which is more common than most would think. According to data compiled by the National Health Care Quality Report, there were 6.58 birth injuries for every 1,000 babies born in the United States in 2000. By definition, a birth injury occurs when the baby suffers from some form of preventable trauma, usually during the childbirth process itself. Often, birth injuries result from the use of mechanical devices such as forceps or vacuum extractors to assist with delivery, or the deprivation of oxygen to the child. If a child suffers a birth injury, or other complications as a result of medical negligence, filing a malpractice lawsuit may lead to compensation for the child for their lifetime. Malpractice lawsuits as a result of birth injuries are often filed against the doctors and hospital where the baby was delivered or treated. If you find yourself in this unfortunate position, the attorneys at Weitz & Luxenberg who specialize in cases involving birth injuries would be happy to assist you. Please feel free to contact us for more information. Was your infant injured during birth as a result of medical negligence? Speak to an experienced attorney today for a free consultation. A child’s birth injury may be obvious in those cases where seizures or other evidence of trauma or oxygen deprivation arise during the first 24 hours of life. Sometimes they might not be obvious at first but may present over time when a child fails to meet his or her milestones. These delayed symptoms may include an inability to sit up or crawl, experiencing limpness of arms or legs, and missing the common developmental milestones for children of a comparable age, including crawling, walking or talking. 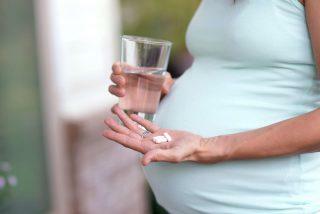 In some cases, prescribed drugs issued to the pregnant mother can cause injury even before the child is born, which sometimes means legal action is warranted against drug companies, pharmacists, hospitals or prescribing doctors. Birth trauma can involve a doctor’s failure to diagnose and react to conditions regarding the mother and baby inside the delivery room. Doctors aren’t perfect and delivery-room staffers can make mistakes that result in permanent damage, sometimes because of exhaustion or inexperience. Depending on the time the baby is born or the circumstances at the hospital, a top-tier physician might not be available to assist in delivery, sometimes resulting in disastrous results in a high-risk pregnancy. Obstetricians are sued more frequently than doctors in other specialties and pay the highest insurance premiums. Not surprisingly, though cellphones have given nearly every parent the ability to record their baby’s delivery for posterity, cameras are banned in many delivery rooms, partly to minimize potential liability issues when birth injuries are sustained. Clearly, preventable mistakes are being made every day during delivery. Yet birth injuries are not always obvious initially, and can lead to a number of long-term issues that were not immediately diagnosed, including a decrease in strength and stamina, a loss of nerve sensation, or problems associated with slow cognitive and emotional development. One of the most crippling issues linked to birth injuries is cerebral palsy (CP), an incurable condition with devastating repercussions. In addition to serious physical problems, cerebral palsy can place an enormous financial burden on the family because of associated medical bills, with a lifetime cost estimated at $1 million – and that’s in 2003 dollars. The Centers for Disease Control and Prevention estimates that one in 323 babies born in the U.S. has a form of cerebral palsy. It is attributed to a lack of oxygen (called hypoxia) during birth, blood clots or infection in the mother, among other causes. In many cases, it was entirely preventable. Another devastating birth-related malady is Erb’s Palsy, which generally involves nerve damage in the shoulder area and neck sustained at the end of a long, difficult delivery of a large baby. That is, Erb’s Palsy is caused by the physician when pulling the infant from the womb in an unusual or rough manner. Filing deadlines for birth injury malpractice lawsuits vary in different states, so contacting an experienced attorney in a timely fashion can often be crucial when seeking compensation for trauma and physical damage experienced during childbirth. Members of Weitz & Luxenberg’s nationally renowned attorneys and/or affiliated attorneys are licensed in all 50 states and with $17 billion in compensation, over three-plus decades of practice, are experienced in prosecuting personal injury cases, including medical malpractice, reflecting many scenarios. Case consultations with potential clients are always free.